That night, the Crown Prince voice his concerns to Tai Bu, that Tai Bu is trying to worsen the relationship between the Crown Prince and Lan Ling Wang. 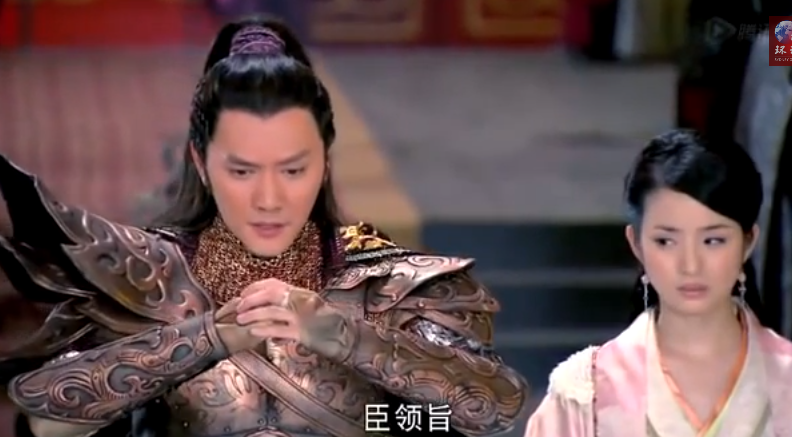 Tai Bu denies it but then tries to explain what he is doing as a means of protecting the Crown Prince. He remarks that since Lan Ling Wang Si Ye has aqquired Xue Wu as a concubine, he’s been more and more popular with the people. They have to separate the two, for the stability of the Crown Prince’s position. In Zhou, the entire court is in silence. 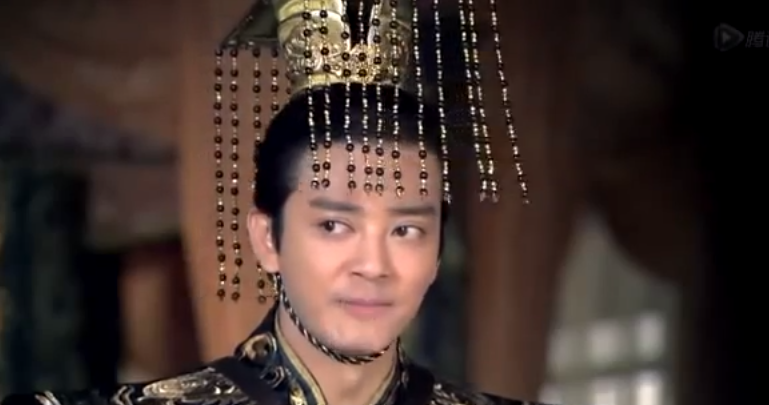 None of the courtiers has said a word to Yu Wen Yong. He says, “Let’s start the morning court meeting” and a shifty courtiers reply, “Uh…you majesty, Da Zhong Zai (Yu Wen Hu) hasn’t come, when he comes, we will start the morning court meeting” all the other ministers agree in unision. 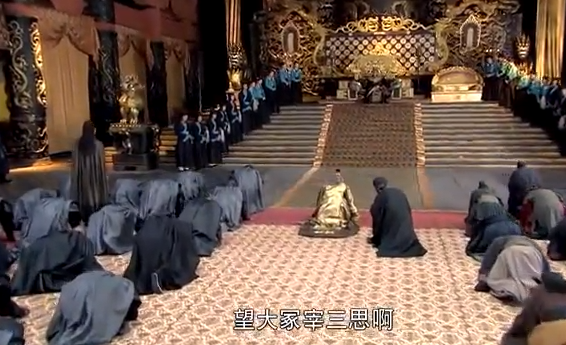 When Yu Wen Hu shows up, all of the courtiers turn away from the king bow respectfully in the form fitting a king to Yu Wen Hu and cry, “We welcome Da Zhong Zai!”. Yu Wen Yong takes Yu Wen Hu to said on the dais, on a seat just a step below the King’s Dais. 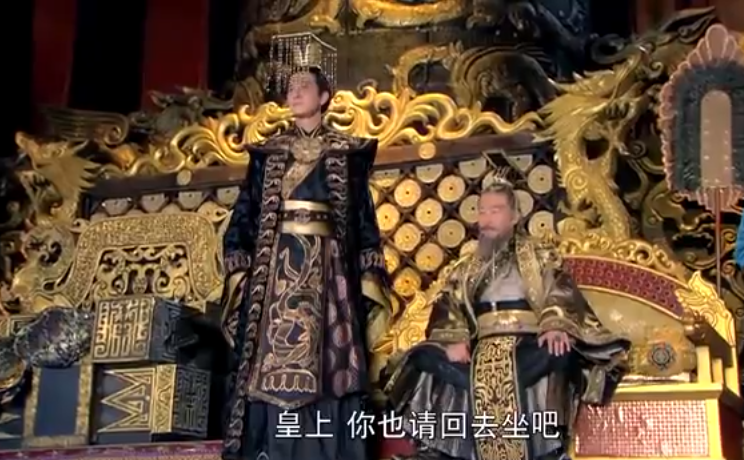 Yu Wen Hu tells Yu Wen Yong to go back to his throne since he is king, he should not stand while his courtier is sititing, to which Yu Wen Yong replies that he is standing in appreciation of Da Zhong Zai, because Da Zhong Zai is so good to him. Yu Wen Yong says that on his way back to the capital, he has already began to feel sorry for his actions. So he has brought back gifts for Yu Wen Hu. He orders them to be brought in. Lo Behold, the most beautfiul girl walks in, with a slew of gifts following her. This was the same girl who had tried to assassinate Yu Wen Yong but he had successfully made her become his spy for him. Yu Wen Hu takes an immediate interest in the girl, and Yu Wen Yong initially says that this is his woman, Yu Wen Hu can have anybody but her. Yu Wen Yong says that he wants her no matter what. Yu Wen Yong sighs theatrically and says that if Da Zhong Zai wants her so much, then he has no choice but to give her over. After the court meeting was ajournded, Da Zhong Zai and his lackeys walk out. The shifty minister compliements on how kingly Yu Wen Hu was, Yu Wen Yong was cowering like a terrified little boy (Yu Wen Hu had once thrown Yu Wen Yong into a well when Yu Wen Yong was six for punishment). Now it seems to the ministers that Yu Wen Yong is just a weakling, the shifty minister advises Yu Wen Hu become king himself. Back on Yu Wen Yong’s side, he too has guessed that Yu Wen Hu has seen through the girl (hereto therefore known as Bai Tu) is a spy. But this is exactly what Yu Wen Yong wants Yu Wen Hu to think. This way, Bai Tu can openly tell Yu Wen Hu that she is a spy and gain his trust, and then double cross him. Yu Wen Yong thinks aloud and thanks Yu Wen Hu. His guard asks why does he thank Yu Wen Hu, who has caused him so much pain and trouble? 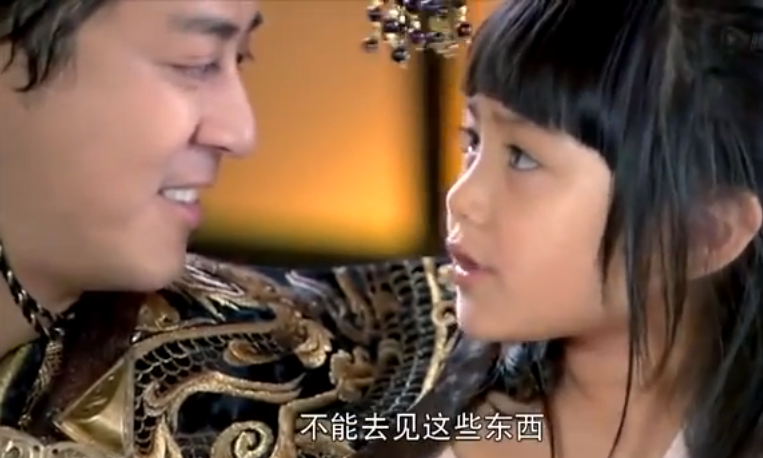 It turns out that the person is Zhen Er, his niece. Zhen Er is always sick and weak and has to take lots of medication for her allergies and colds. The queen is worried about Zhen Er, since Yu Wen Hu had killed Zhen Er’s father, she doesn’t know if Yu Wen Hu would ever try to kill Zhen Er. She tells the captain that because the instability, no one knows what will happen to the king. When/if the time comes that the palace is in uproar, Yu Wen Yong has ordered that the only person who must survive is Zhen Er, no himself. Yu Wen Yong is practically another person with Zhen Er, he smiles and tells her stories, even a story about the Heavenly Maiden and A Guai. He tells her the whole story and says that since the Heaven Maiden has run away, A Guai is very mad. 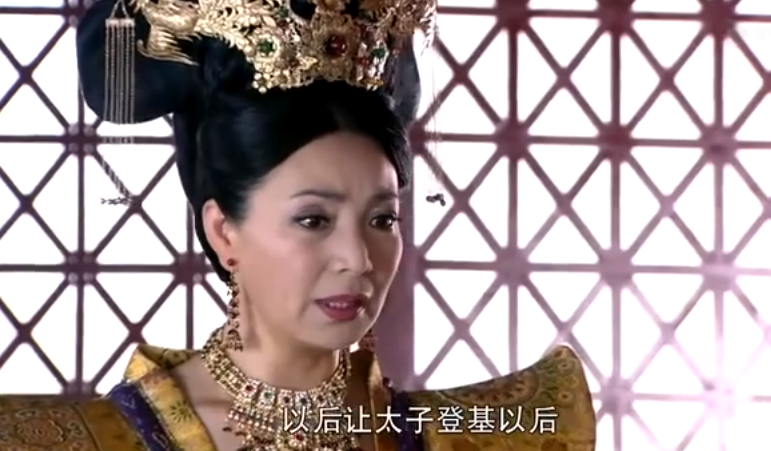 Zhen er replies that it was A Guai’s fault in the first place, since he had fooled the Heavenly Maiden. But A Guai is not a bad person, since A Guai like Yu Wen Yong plays with children, anyone who plays with children is not a bad person. Zhen Er says that she wishes the Heavenly Maiden was in Zhou. She really wants to meet her and also, since the Heavenly Maiden isn’t by A Guai’s side, then A Gaui must miss her too. Yu Wen Hu promises that the Heavenly Maiden will come to Zhou to play Zhen Er. 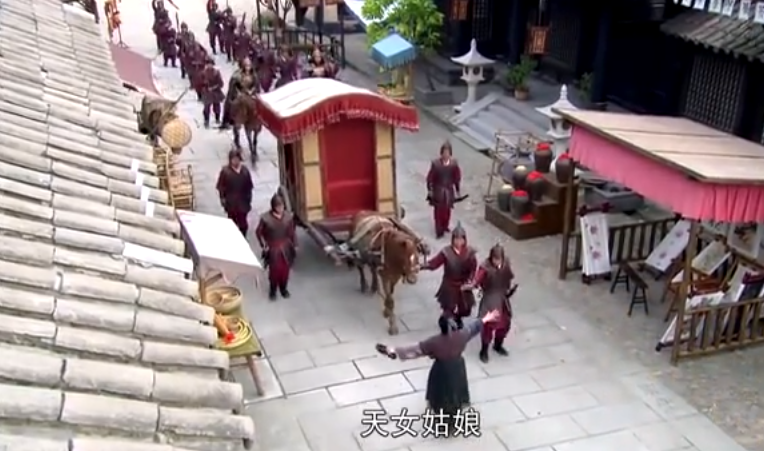 In that moment an old lady stops Xue Wu’s carriage. Si Ye decides to go what’s the matter. 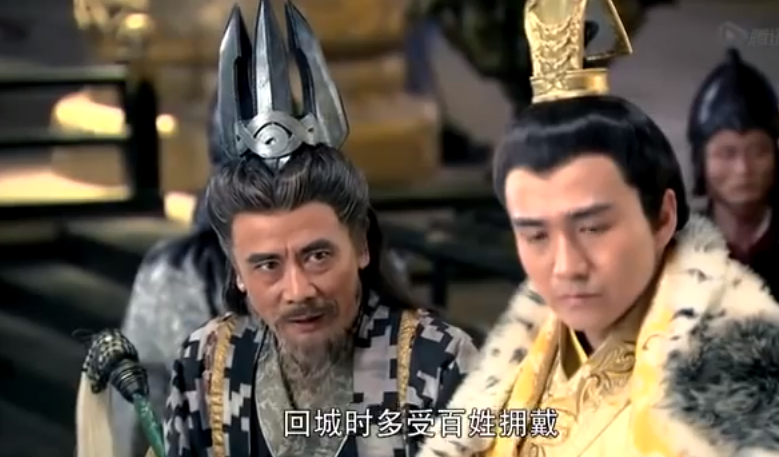 The Crown Prince asks why did they stop and Tai Pu tells him that Xue Wu and Si Ye are just attempting to sway public opinion, but he the Crown Prince, shouldn’t keep the King waiting. They go ahead. 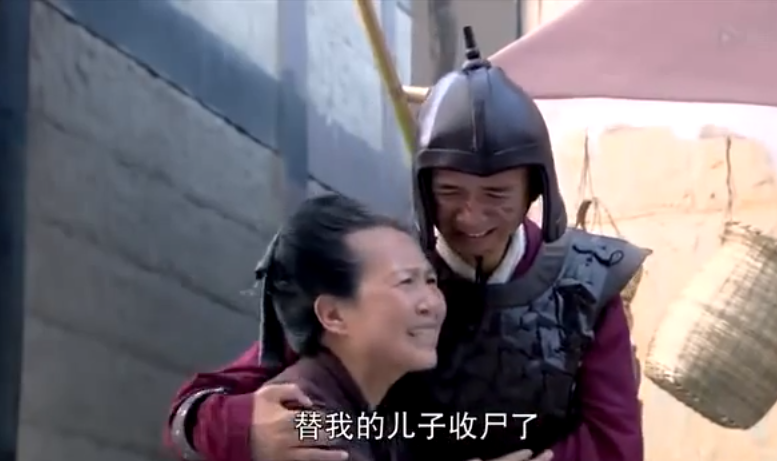 The old lady tells Xue Wu that 4 of her sons went on the battlefield. But 3 has already died. She only has one left, and he had been at Luo Yang. Now that he’s returned, the old lady wants Xue Wu to sew on a pair of shoes for her son, as a talisman for his safe return from the next battle. Si Ye decides to let the King wait and let’s Xu Wu sew the shoes. Afterwards, he sweeps her off the ground and says that even if she wants to keep distance between then, she is still his concubine, they should ride together. The people cheer. 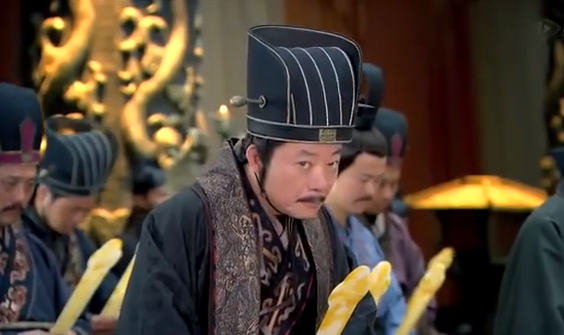 In the court, the King enters and sees that Lan Ling Wang isn’t there. 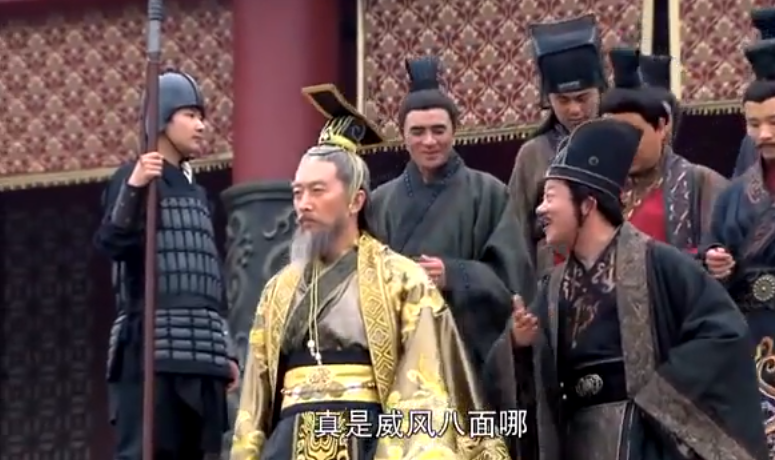 He asks where Si Ye is and his Queen, Tai Pu, and the Crown Prince all suggest that Lan Ling Wang is basking in the glory of the people and thus too busy to come early to court. The king listens without saying anything. When Si Ye arrives with Xue Wu, he begs for forgiveness. The king asks about Xue Wu and tells her to use the term Heavenly Maiden from now on, since she has done so many wonders that the people already believe she is one. The king praises Lan Ling Wang for his work on the battlefield. 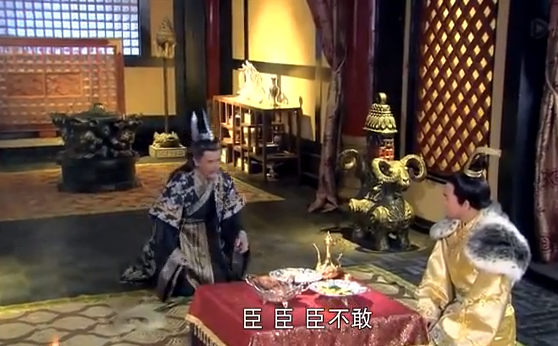 Then in front of his court he berates his son for being a hinderance in the battle of Luo Yang. He also chides the crown prince for trying to smear Lan Ling Wang’s name in front of the court. As it turns out, the kings has spies and they told him why Lan Ling Wang was so late in coming to see the king. 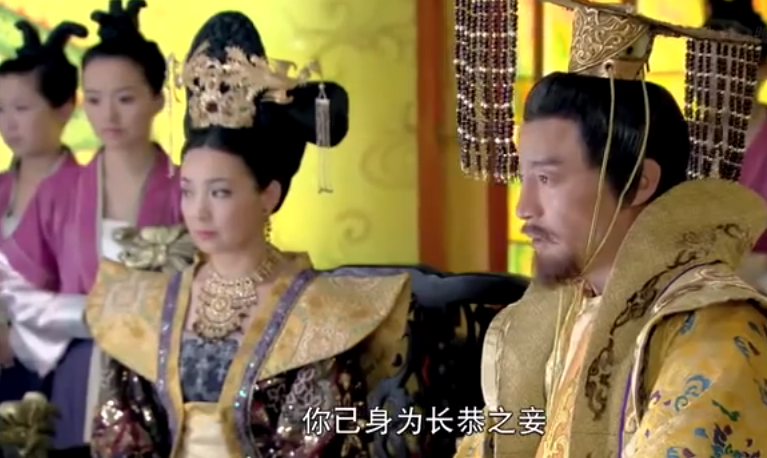 The King asks what does Xue Wu want for reward for doing her part in Luo Yang. She says that shes doesn’t want any kind of reward instead she wants the king to let all the families of Qi to keep one son if they have multiple, from the battlefield. Since she met the old lady, Xue Wu realized that by taking all the sons into the army the kingdom of Qi would not have many families to help carry the line. The king applauds her request. Tai Pu sees now being the time to separate Xue Wu and Si Ye. He says that the Crown Prince has a request. That is that Lan Ling Wang get married to a rightful wife. 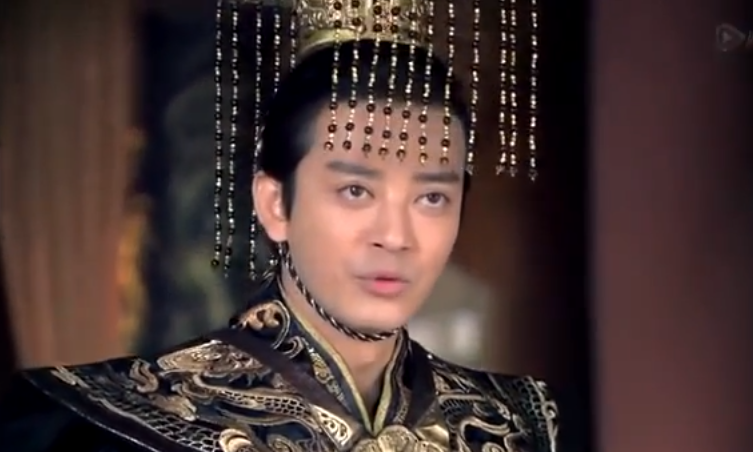 Since Xue Wu is only a concubine and Si Ye is of royal blood, Si Ye needs a rightful Wife. 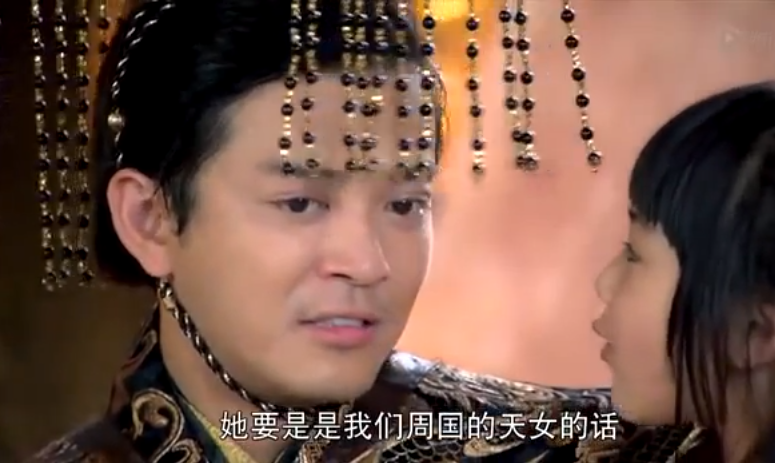 Si Ye tries to protest, and says that all he needs is Xue Wu. 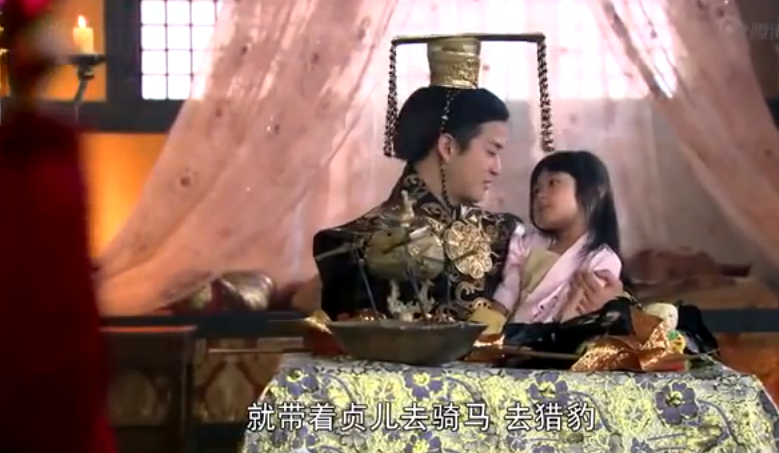 When the King ask Xue Wu what she thinks, Xue Wu replies that Lan Ling Wang should marry officially. The king decrees that soon they will pick a Main Wife for Si Ye. In Private the Queen asks the King to not shame the Crown Prince in public. How will the prince be King if the current King is going to be so cruel in public to him. The king replies that the crown prince may not be king. The queen is worried. She sees that the Crown Prince is outside. She tells him not to panic, they need to get ride of Si Ye, and then everything will be alright. Thanks for the recaps ! 🙂 I can’t follow everything by pictures alone. I have a question – how historically accurate is everything (clothes, hairstyles, buildings, etc.) ? 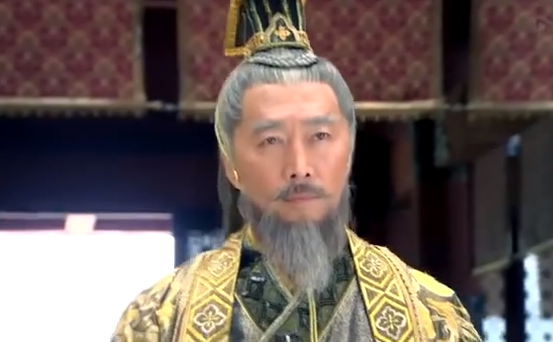 I know very little about chinese history but some things do not look realistic to me, like LLW’s dreadlocks ?! Haha Don’t even get me started I historical accuracy. For one thing, Ariel’s character never existed. As for the clothes, Im not sure about Qi dynasty clothing but they’ve definitely taken lots and lots of liberties. I would quibble about historical accuracy if this was a documentary but since this is basically loosely based historical fantasy, watch it with a grain of salt.